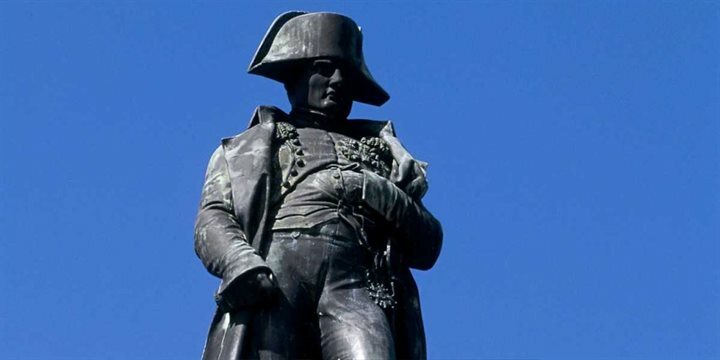 The history of the west coast is all about the mysteries of the geological formations and the towering figure of Napoléon Bonaparte, Ajaccio's most famous son. The natural harbour of Propriano was first exploited by the ancient Greeks, Carthaginians and Romans but was an easy target for pirate raids and therefore never became established. Sampiero Corso landed here in 1564 when he tried to liberate Corsica from the Genoese. Until the early 20th century when the port facilities were constructed and Propriano became the centre of maritime activity for the Sartenais region, it remained a tiny cluster of buildings. The arrival of tourists to the Valinco gulf did the rest and Propriano is now a popular seaside resort. Olmeto was established high on the mountainside to provide protection from the constant pirate raids that menaced the gulf in the 15th and 16th centuries. The and 16th centuries. Lying in the countryside of the Taravo valley on the north side of the Valinco gulf is Filitosa, a collection of menhirs, from the Celtic "mean hir" meaning long stone. Filitosa is one of the most discovered in 1946 by Charles-Antoine Césari. The oldest findings on the site date back to approximately around 6000BC indicating that there was a human population living in caves in this area as early as 3300BC. Allow about 1.5 hour to walk around the parkland setting where the stones are and to visit the small museum afterwards. Ajaccio gets its name from Adjaccium (Roman for resting place) and was a winter stop-off point for shepherds descending from the mountains during these times. The first settlement was at Castelvecchio, north of Ajaccio and was destroyed by the Saracen raiders in the 10th century. Modern Ajaccio grew up around a Citadel founded in 1492 by the Bank of St George, the Genoese military organisation that handled the administration of Corsica. Indigenous Corsicans were forbidden to live here until 1553 when it was seized by Sampiero Corsi and his French allies. The Genoese recaptured Ajaccio in 1559 and Corsicans once again were banned until 1592. Shortly afterwards the Citadel was enlarged and reinforced and the town's population rose from 1200 to 5000, mainly due to the population fleeing the Moorish raids on the surrounding countryside. When Pascal Paoli launched his first campaign for independence in 1739, the Ajacciens stayed faithful to their Genoese masters, mainly due to economic need. The town was reliant on Genoese imports of olive oil and wheat. In 1796 however, the French captured the town and the ramparts were demolished on the orders of Napoléon. 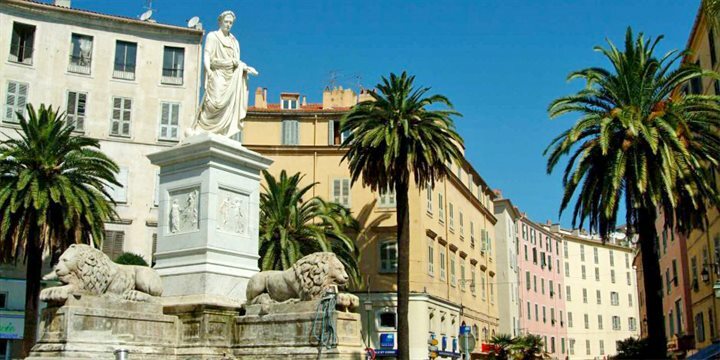 In its role as capital city, Ajaccio rapidly expanded and gained momentum economically right through the 19th century, largely due to the success of the wine trade. During World War II Ajaccio was a centre for resistance fighters and was the first French territory to be liberated. Since then tourism has become the main economy. Sartène developed in the early Middle Ages when eleven parishes united for safety against the pirates. It became the unofficial capital of feudal barons (known as Sgio) who preferred to meter out their own form of justice than adhere to the law. In the 16th century, the Genoese surrounded Sartène with a wall which failed to keep out the Corsican Sampiero Corso who besieged the town for 35 days in 1565 and left it devastated. In 1583 it was an easy target for the King of Algiers who captured the town and took 400 of its people as slaves. Thereafter, Sartène became faithful to the Genoese and Pascal Paoli himself came in person to rally the Sgio onto his side. When the French took over, the Sartenais channelled their energies into murderous clan warfare, which won the town pride of place in the chronicles of Corsica's long tradition of vendettas. When Napoléon III visited he granted the Sgio noble titles and tax concessions which allowed them to plant vineyards on the empty lands surrounding the town, providing the area today with the mainstay of the local economy. In the olden days Porto was so unimportant it didn't even have a name; it was simply the port for the village of Ota. The only permanent building was a square Genoese tower from 1549. In the 19th century a eucalyptus grove was planted to dry the marshy river mouth and these trees now form one of Porto's landmarks. Porto's prime activity during this era was the export of Laricio pines from the inland forests and so the main Route de la Marina was constructed to be wide enough to accommodate the huge carts used to haul the timber down from the mountains. In the 1950s DDT put paid to malaria and Porto began to cater for the first summer visitors. Piana, on the other hand was ruled by Seigneurs de Leca in the 15th century. They governed a vast area on the west coast and rebelled against the ruling Genoese. They were eventually massacred alongside other defenders of the parish and the Genoese banned anyone form living in Piana which only came to life again once the Genoese influence declined.